Michael Porter carried out the repair and did a great job. Competitive price and excellent quality and service. Why bother with expensive body shops for minor repairs? Michael Porter ChipAway - creased rear panel, dent and scratch - My wife had reversed my car against a tree, creasing the offside rear bumper, denting it in two places either side of the crease, and just for good measure scratching the length of the damage. I got an estimate from Michael in the basis of a photo I sent him which ... Read more seemed very reasonable indeed, and on reading the blurb on it about the work "not being factory finish", I thought I understood why. Michael repaired the car on my driveway. He was here a good few hours and also enlisted a colleague to assist him as well. Very polite, very professional. Resigned that my car would look a little shabbier than before, I inspected the repair and was shocked go find that I couldn't see a thing. No join. No difference in colour. No scratch. No dent. No crease. Invisible.... Extremely happy with Michael's work and would highly recommend him. Very impressed! I would like to commend Mr. Porter for the superb job that he did on my car. The damage was not too serious but on completion not a mark was to be seen. I would not hesitate to recommend him, (and have already done so!) 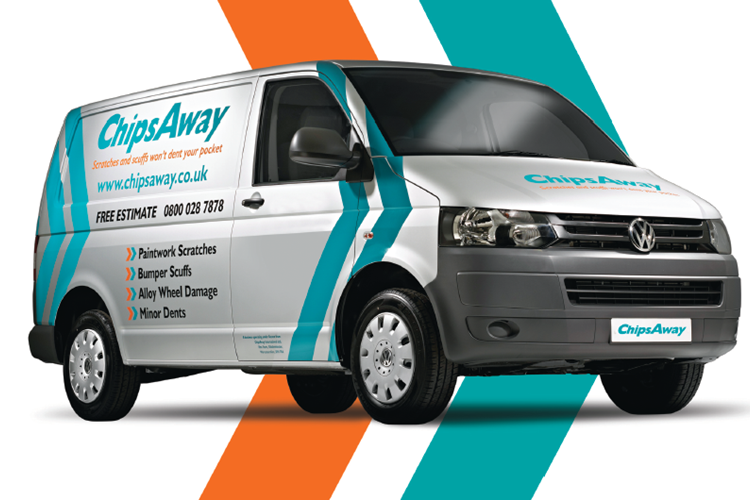 to anyone who needs a repair done on site, or away. Please thank him from me. I was genuinely pleased with the estimate. Had a few days of sick panic waiting for 'the day' and was unable to concentrate on my work. Michael collected the car at 9.00am and returned at 3.00pm. I was truly surprised and amazed at the quality of work. Michael is a star specialist and I recommend anyone in East Sussex needing such work to locate him and, like me, be amazed. Michael Porter from ChipsAway provided a prompt, efficient and very professional service. He repaired a chip and cracked paintwork on the rear bumper of my car, it looks fabulous now. Just wanted to say what a great job Michael Porter did in restoring my Skoda back to looking like new. He was punctual, courteous and extremely efficient. I am very happy with the work carried out and wouldn’t hesitate to recommend him to others. Michael Porter from East Sussex did an excellent job, arrived on time and his work was conscientious and exemplary. No sign of any damage at all on completion. Would fully recommend him without hesitation, particularly as his bill came under the original quote! Mr Porter was helpful, informative, very conscientious and did an excellent job. This is the second time Michael has come to repair our cars this time was my wife's turn he produced an excellent job in not the best of weather, I only hope his hands thawed out by the time he got home. I would thoroughly recommend Chips Away and Michael Porter for very professional work. Michael Porter once again did a brilliant repair to supermarket damage caused to my beloved car in a quick, effective, efficient and clearly explained manner. I would recommend him to any car lover!!! Michael (Sussex) did a fantastic job with a nasty scratch/dent on my black Volvo. He was prompt, polite, his repair was faultless and at almost half the price of the body shop I was recommended. And he did it in about 5 hours instead of needing my car for 2 days! Highly recommended. Michael was brilliant, and the repair likewise. A perfect job. Highly recommend. I will be using Michael and Chips Away for any bumps and scuffs in future. Truly cannot see the dent and the severe scratch marks caused by a windscreen protector with magnets. I cannot recommend Michael Porter enough for restoring my Nissan Navara.